Kenneth H. Olsen, founded Digital Equipment Corporation in 1957 and served as its president until his retirement in October of 1992. Under his direction, Digital grew from three employees in 8500 square feet of leased space in a corner of an old woolen mill, to one of the world's leading suppliers of networked computer systems, software, and services. The corporation pioneered, and is an industry leader, in interactive, distributed and multi-vendor computing. Today, Digital has over 110,000 employees and conducts business in 97 countries. A native of Stratford, Connecticut, Mr. Olsen earned the B.S. and M.S. degrees in Electrical Engineering from the Massachusetts Institute of Technology in 1950 and 1952, respectively. He is a U.S. Navy veteran of World War II. Prior to founding Digital, Mr. Olsen was a member of the staff of the Massachusetts Institute of Technology's Digital Computer Laboratory for seven years. His activities there included serving as a leader of the section of MIT Lincoln Laboratory that designed and built the MTC computer used in the SAGE Air Defense Computer design program, and supervised the building of the high performance transistorized digital computers, the TX-0 and TX-2, which set the standard of comparison for transistor circuit performance. 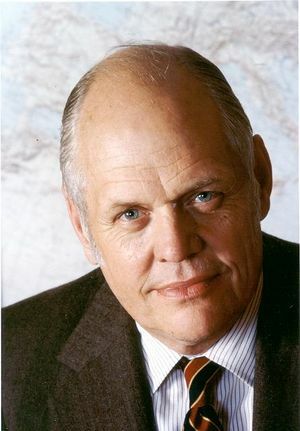 Mr. Olsen is a member of the board of directors of Polaroid Corporation and Ford Motor Company; the Corporation of MIT, Cambridge, MA; board of trustees, Gordon College, Wenham, MA; and of the Corporation of Wentworth Institute, Boston, MA. He is also a member of the Corporation and advisory vice president of the Joslin Diabetes Foundation, Inc., Boston, MA. ; a member of the Corporation of the Museum of Science, Boston, MA. ; and a deacon of the Park Street Church, Boston, MA. He has served on the Computer Science and Engineering Board of the National Academy of Sciences, Washington, D.C.; and the President's Science Advisory Committee. Mr. Olsen is a Fellow of the IEEE and the American Academy of Arts and Sciences. He is a member of the National Academy of Engineering. He is the recipient of numerous awards, including: Eta Kappa Nu's Young Electrical Engineer of the Year Award (1960); Bay State Business World's Businessman of the Year (1970); Executive of the Year, of the Society for the Advancement of Management, Boston Chapter (1970); the first President's Award of the New England Chapter of the Electronic Representatives Association; the New Englander of the Year Award of the New England Council (1977); elected to the Entrepreneurial Hall of Fame of Babson College, and received the Business/Statesman Award of Columbia Business School Club of Boston (1978); received the Vermilye Medal of the Franklin Institute (1980); the New England Award of the Engineering Societies of New England (1986); a recipient of the first IEEE Engineering Leadership Award (1986); the first IEEE Computer Society Entrepreneur Award, and the Yale School of Management Award for Entrepreneurial Excellence (1986); the John Ericsson Award of the American Society of Swedish Engineers, and the American Manager of the Year Award of the National Management Association (1988); inducted into the National Inventors Hall of Fame (1990); received the MCI Communications Information Technology Leadership Award for Innovation by the Computerworld, Smithsonian Awards (1992). Mr. Olsen was awarded the 1993 IEEE Founders Medal "For technical and management innovation, and leadership in the computer industry." This page was last edited on 2 February 2016, at 18:09.